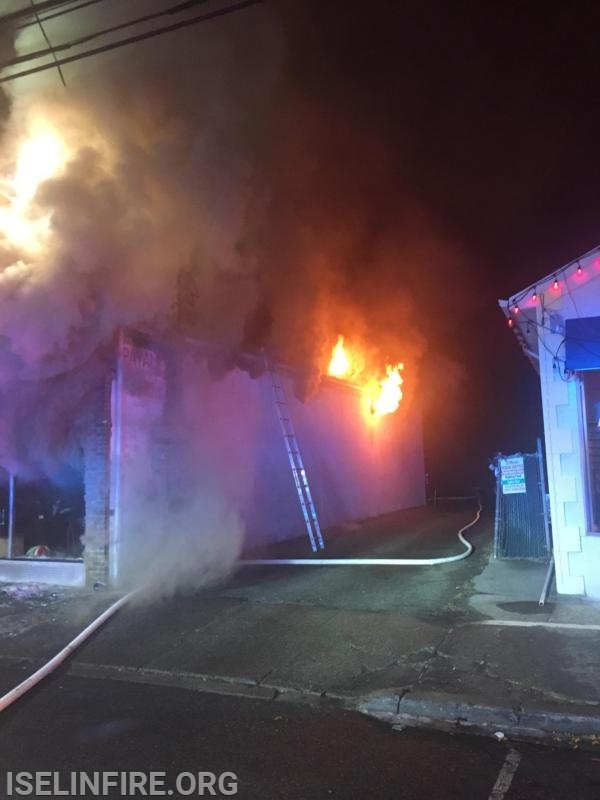 Iselin Chemical Hook and Ladder Volunteer Fire Co., District #11 and Iselin Volunteer Fire Co. No.1, District #9 were dispatched on February 4, at 01:02 for a reported structure fire on Oak Tree Road. Upon arrival at the scene, Chief Mark Sojak reported that he had a one story, 50’ x 100’ building with smoke coming from the C-D corner. 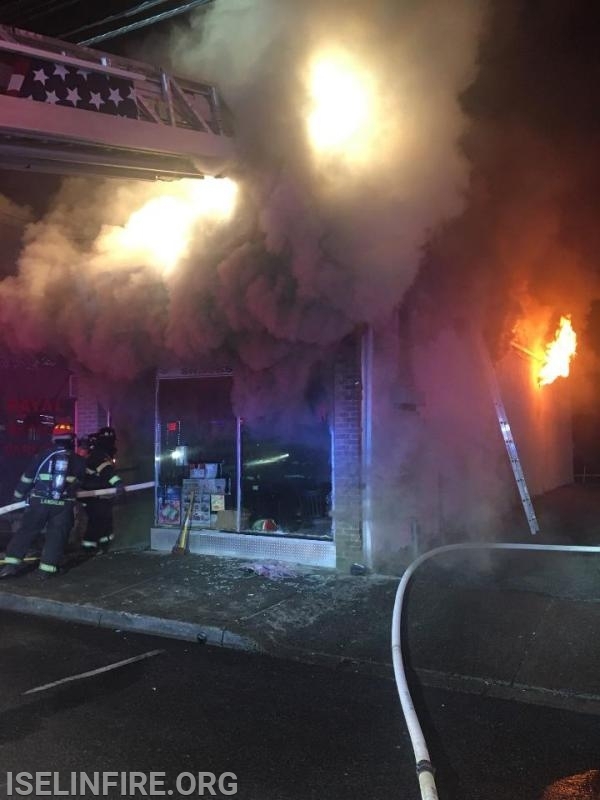 The Chief immediately asked Dispatch for a First Alarm and then directed the incoming apparatus. 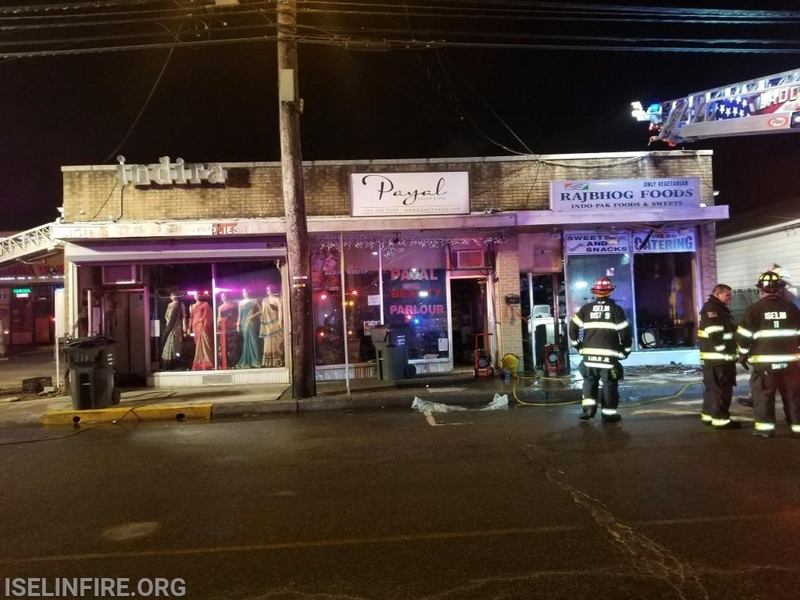 The building had three businesses, a foods & sweets shop, beauty pallor and clothing store. 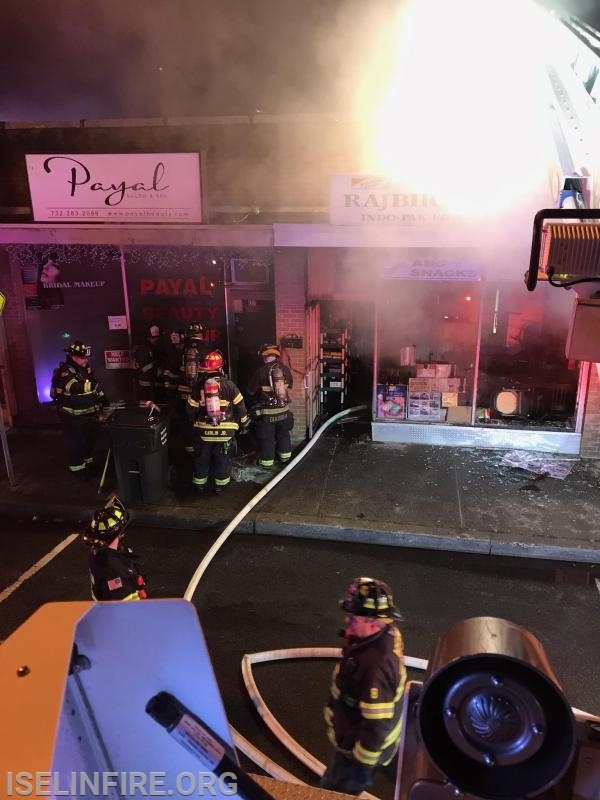 Forcible entry was made into the foods & sweets shop and hoselines were advanced to extinguish the fire. Mutual aid fire department assisted with extinguishment, ventilation and overhaul. 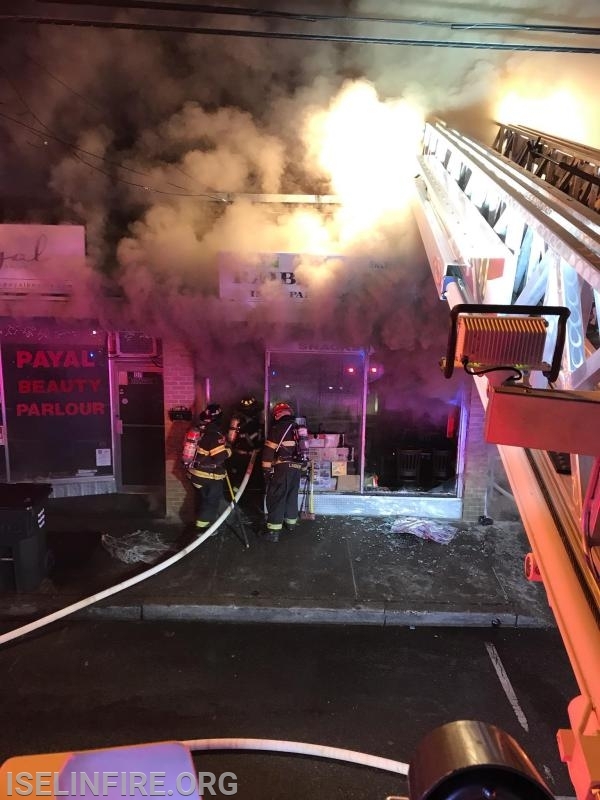 The fire knocked down quickly and contained to the one store with minor smoke and water damage the other two stores. The scene was cleared at approximately 04:30 hours. Thanks to our mutual aid companies that came out to assist us. Iselin Dist. 9, Colonia Dist. 12, Fords Dist. 7, Avenel Dist. 5 and Hopelawn Dist. 8, Metuchen Fire. Woodbridge Twp. 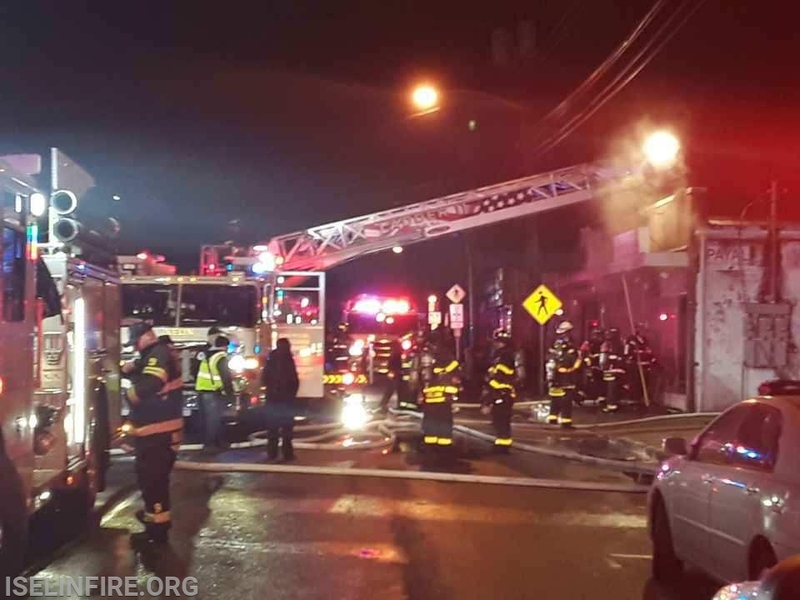 Mutual Aid Coordinators, Woodbridge Twp. EMS and Woodbridge Police.